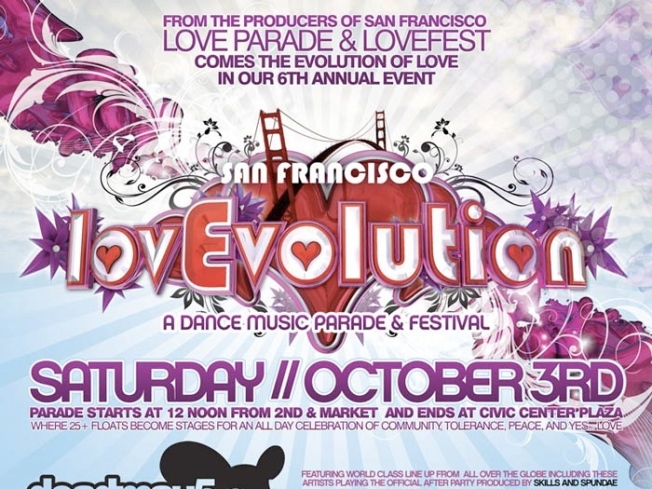 DJ PARADE: Go crazy at the 6th annual LovEvolution Dance Music Parade! A string of 25 floats will be heading down Market St., starting at 2nd and working its way west. The party continues at the Civic Center and can go all night long if you head to one of the dozens of after parties. Brace yourself. MORE THAN YOUR AVERAGE HONKYTONK: The Hardly Strictly Bluegrass music festival is on all weekend and totally free! Catch old favorites like Lyle Lovett & His Large Band on Friday and see Steve Martin rock out on a banjo Saturday afternoon. LIFE IN PLASTIC: She's sassy, stylish, and no stranger to surgery. Joan Rivers will be performing at Cobb's Comedy Club Friday and Saturday evenings at 7:30 p.m.. Get ready to laugh your botoxed face off! HAMMER TIME: Yes, his performance is part of Hardly Strictly Bluegrass, but this is so epic it deserved it's own blurb. MC Hammer will be on the Star stage Friday at 11:30 a.m. Break out your gold lame and crab walk all the way to Golden Gate Park. RUN LIKE THE WIND: If you'd like to feel healthy after all the partying you'll be doing this weekend, try going on the Bridge to Bridge 12K and 7K Run/Walk on Sunday morning. Start in front of the Ferry Building at 9am and enjoy "America's Most Beautiful Run".